I think it’s important to start with how the FIT Factor Method came to be. I was lucky to attend Eastern Washington University's exercise science program, which provided all the resources I could ever need in order to create the trainer I am today. I was also fortunate to have faculty, friends, and roommates as mentors. It was at EWU where I gained the knowledge I needed in order to provide an excellent programming service. Just before my last quarter of undergraduate education, my roommate and best friend, Lance, pushed me to take the Master’s level course, Training, Planning, and Periodization of elite athletes. He himself had taken the course and spoke very highly of it. As an undergraduate in a Master’s level course, I knew it would be difficult, but I also knew it would revolutionize my training methods. It was here where I learned the intricate details of exactly what goes into a elite training plan. I was taught, not only what to identify, but how to identify every variable that needs to be accounted for when making a fitness training plan. This gave me an understanding of how to train for specific qualities in a person, variant upon their unique physiology. From this, I made an important realization: training methods aimed at improving specific qualities like muscle growth, muscular endurance, strength, power, and cardiovascular endurance, in the human body remain quite similar from person to person. Therefore, this knowledge could be applied to general fitness clients. The procedure may change, but the principles of training (more on these later) remain the same. After I started working as a trainer, I came to another realization: no matter how perfect the program design was, if a client did not want to perform the exercises, workout at a certain intensity, or just simply couldn’t fit time in their schedule, the program would not work well. For example, I have a client who hates cardio at high intensities. He doesn’t have fun, he doesn’t enjoy it; simply put, it’s just not his “thing.” So, even though HIIT training is “all the rage” and has a ton of benefits, I quickly learned that he wasn’t going to complete those workouts if I assigned them to him. And, of course, in order to gain the benefits from working out, the workout must be completed. Hence, this is why FIT Factor strives to integrate an assortment of variables into a feasible program that you are most likely to do. A plan that you enjoy, a plan that feels good, and a plan that takes your needs into consideration is the best plan for you. The difficulty for some is to implement exactly how to combine all those things, and that is where I come in! As for my training philosophy, it is important to understand a few ideas. The science behind each is extremely complex, as we are all organisms undergoing changes by the hour, heck, the second. Understanding the recovery state of each individual entails a deep understanding of a handful of physiological variables. My goal is to provide this information in a digestible way in order to maximize your understanding. Figure: Proper implementation of the General Adaptation Syndrome. Image from http://advancestrength.com/strength/how-does-the-body-adapt-to-exercise. The greater the stress, the longer it takes to recover and adapt. The greater the stress, the more adaptation or improvement a person will see. There are two caveats that go along with this concept. If someone starts to exercise (apply a stress), but does not allow the body to recover (like lifting the same muscle group the next day), then the system falls into a more fatigued state. This is the problem generally experienced with those who think “more is always better.” It’s hard to see results when the body is never given time to adapt to the stimulus you apply. The other conundrum is for the person who consistently sees results stall. Generally, this person attains good results initially, but after completing the same workouts over and over again, improvements start to fade away. The problem with this method can be related to the exact stressor (exercise) being implemented. If I run the same 3 mile run (route, pace, and time of day), the relative stress of that workout becomes lower and lower. My body has adapted to that exact workload and no longer senses the need to change physiological qualities to prepare for that workload. How FIT Factor Applies this for YOU! A lot of the focus generally deals with the exercise aspect of programming. Intense effort goes into figuring out questions like, “how long should I run” or “how much weight should I lift.” I argue that there are overlooked questions like, “how much sleep did I get” or “have I been sick recently.” Recovery is the time, as you read above, that allows our body to adapt. This time is vital to improvement. Recovery weeks or days can ensure that a person is able to better push themselves when the training schedule calls for it. The body is in a constant fluctuating state and your training should try and match that! I always bring this quote into conversation when talking about this subject: “Repeating the same actions, over and over again, expecting different results is the definition of insanity.” It certainly is cliche and over-quoted, but it is the exact reason why a workout program has to be constantly evolving and changing. Remember from above when I discussed the example of the person running the same route everyday? That is exact reason why change needs to be implemented in a program. Your plan should involve a system to plan when and how new stressors (exercise variables) should be applied. Again, the exercise you do needs to provide enough stress to your body to require adaptation (improvement in fitness). To be very clear, there is a time and place to place large stresses or training loads on your body. The key lies in scheduling recovery as well. A coworker of mine, Peter Valentine, said this to me the other day: “A one hour workout cannot counterbalance 23 hours of less than ideal lifestyle habits.” This rings even more true when the workout you do consistently becomes more comfortable. Unless proper and honest assessment is used to assess your difficulty level, monotony can set in. If you can go through the motions of your workout plan for months, there is a good chance that the stress you are applying to your body has become low enough and does not require your body to adapt. While the idea that “any workout is better than none” is a very true statement, you cannot expect improvements if the workout does not push you in some way. We must “do something we have never done before, to achieve results we have never seen.” At FIT Factor, we implement the use of difficulty scales to properly assess if you reached the proper intensity. I hope after reading this, you understand that training with FIT Factor is not just a generic programming service. This is a service geared at meeting you at your current level, guided by researched-based training principles. These principles are the foundation of providing feasible programs and achieving results, as long as you are willing to put in the work! I hope to train with you soon! Goodman, J. (2018). 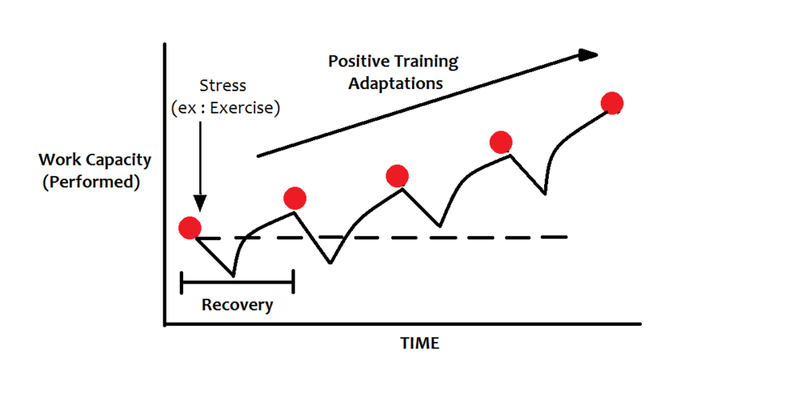 Personal Trainers Shouldn't Periodize | thePTDC | Periodization Training. [online] The PTDC. Available at: https://www.theptdc.com/2012/01/personal-trainers-shouldnt-periodize/ [Accessed 7 Mar. 2018]. Haff, G. (2018). Central Concepts Related to Periodization. [online] NSCA. Available at: https://www.nsca.com/education/articles/central_concepts_related_to_periodization/ [Accessed 7 Mar. 2018]. McGuigan, M. (2017). Monitoring training and performance in athletes. Champaign, IL: Human Kinetics.